Your skin is the window to your overall health. If you feel like your skin is dull and dry, it’s a good idea to take a closer look at what you’re eating because the state of your skin is largely a reflection of your diet. Achieve healthier, younger-looking skin by eating food rich in antioxidants, vitamin C and E, and essential fatty acids, among others. 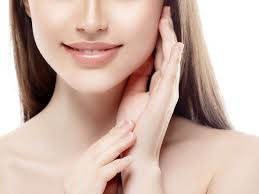 “The skin is the largest body part of the body and one of the most vital ones. Aside from using skincare products, you can take better care of your skin by eating food that are beneficial for the skin such as salmon, berries, and green tea. In addition to eating right, healthy skin can be achieved through regular exercise and adequate sleep,” says MediCard president and CEO Dr. Nicky Montoya. Green tea. “Green tea has numerous health benefits, especially for the skin. According to studies, drinking green tea also helps prevent skin cancer. We suggest drinking at least one cup of green tea daily to efficiently reap its benefits,” Dr. Montoya says. Drinking green tea also helps lessen facial redness. In addition to antioxidants, enzymes and amino acids, green tea also has anti-inflammatory properties that may help delay skin aging. It also flushes out toxins from the body, giving you clear and supple skin. Also, green tea improves blood circulation, which is essential for healthy skin. Sunflower seeds. Rich in vitamin E and beta carotene, sunflower seeds keep the skin young and healthy. It protects the skin from free radical damage, helps diminish appearance of scars, combats UV rays, and delays onset of wrinkles. Sunflowers are packed with essential fatty acids that increase production of collagen and elastin, essential components for a smooth and soft skin. Salmon. This superfood is rich in protein and omega-3 fatty acids which help the skin maintain its elasticity. Eating salmon also increases the skin’s ability to protect itself against the sun’s damaging rays. It also reduces inflammation and helps prevent skin cancer. Dr. Montoya recommends eating salmon three times a week for radiant skin. Berries. Berries not only help keep you healthy, but they do wonders for the skin too. They are packed with antioxidants and anti-inflammatory properties, vitamins, minerals, and flavonoids. “Opt for berries rich in colors like red, blue and black as these contain the highest level of antioxidants, protects your skin from aging and keeps your skin supple and hydrated,” says Dr. Montoya. Greek yogurt. Full of essential nutrients and vitamins, Greek yogurt is not only good for the digestive tract but for the skin as well. It is an anti-aging food as protein from dairy is known to help skin become firmer. Eating Greek yogurt also nurtures vital cells, breaks down harmful cells and bacteria in the body, thus preventing wrinkles and giving you flawless, glowing skin. Furthermore, yogurt also increases good bacteria in the body, which help fight acne-causing bacteria. Learn more on how to take care of your skin. MediCard has numerous free-standing clinics located in key cities nationwide that offer consultations, tests and vaccinations. Visit a MediCard clinic near you or check out www.medicardphils.com for more information.